In elementary school, my principal would drop in unannounced to our classroom when it was someone's birthday. Hidden behind her back or in a sweater pocket would be a Warm Fuzzy. 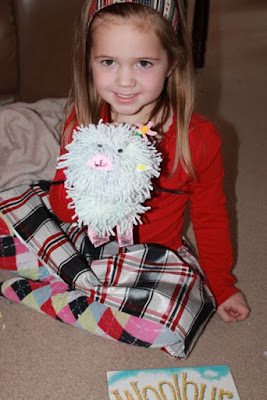 She would call the student up to the front of the class, ask them a few questions about their birthday plans, and then would tempt the student with the homemade yarn pom-pom. She was quick. 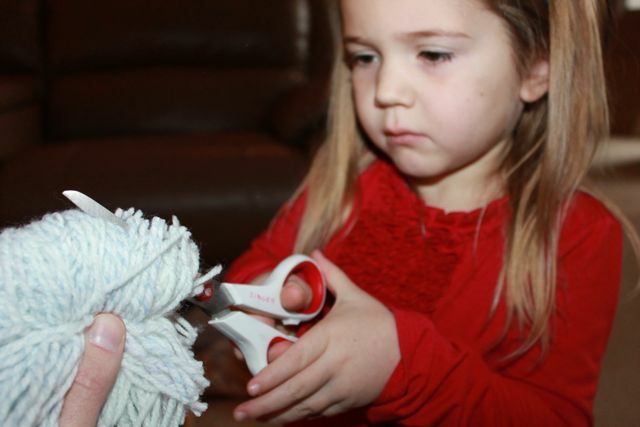 She would switch the Warm Fuzzy from hand-to-hand, go behind her back, and shake it right in front of you only to pull it away at the last second. No student, that I can remember, was ever able to get a Warm Fuzzy from Sr. Roberta. As soon as the student showed signs of exhaustion or frustration she would hand over the Warm Fuzzy, offer a hug, and say "Happy Birthday." I recalled this memory when I was planning a craft to do with my daughter for Lee Harper's book, Woolbur, written by Leslie Helakoski. I wondered if it would be possible to combine a memorable birthday tradition from my childhood with Lee Harper's book to celebrate his birthday. We read Snow! Snow! 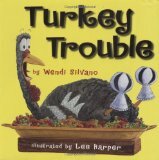 Snow!, Turkey Trouble, written by Wendi Silvano, and Woolbur before we started the Warm Fuzzy Woolbur craft. 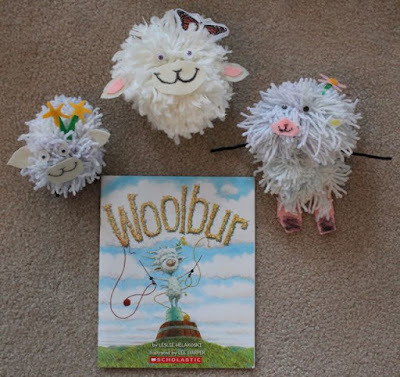 Woolbur is a story about a lamb who doesn't follow the flock. In the shearing barn, Woolbur refuses to get sheared and keeps his wool long. In his yarn dyeing class, Woolbur dyes his wool blue instead of the yarn. And in his weaving class, he puts his head in the loom and weaves his forelocks! Maa and Paa are worried and urge him to be like all the other sheep. Woolbur thinks and thinks and then takes his parent's advice in the only way he knows how. 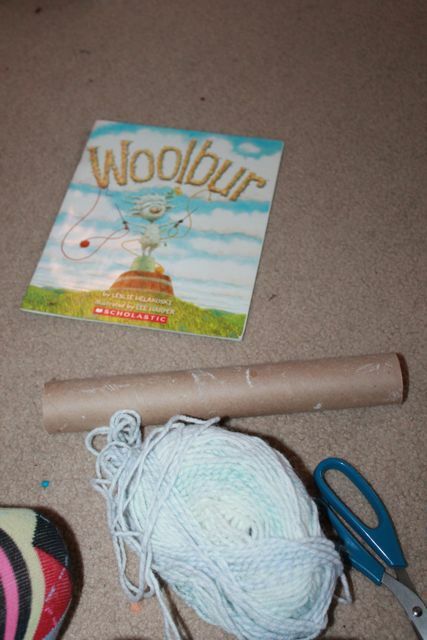 My daughter reread Woolbur while I readied the supplies. To get started we needed a paper towel tube, white yarn, and a pair of scissors. 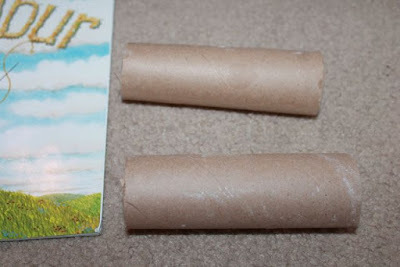 I cut the paper towel tube in half. 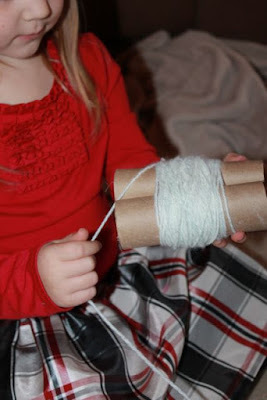 I placed the end of the yarn between the two tubes and gave them to my daughter to hold. The tubes pinched and held the end while she started to wrap more yarn. 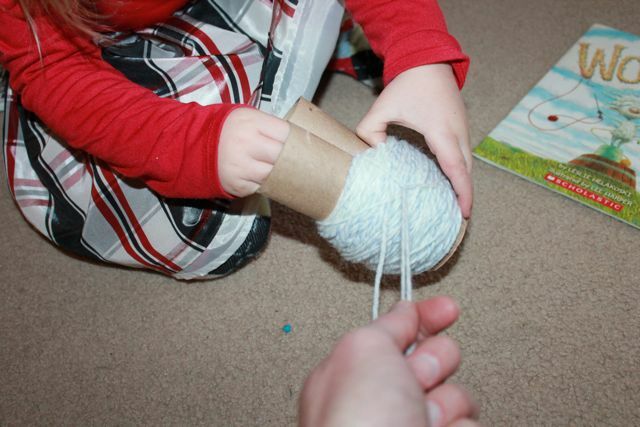 She was very fast at wrapping the yarn. She wrapped until she was tired. 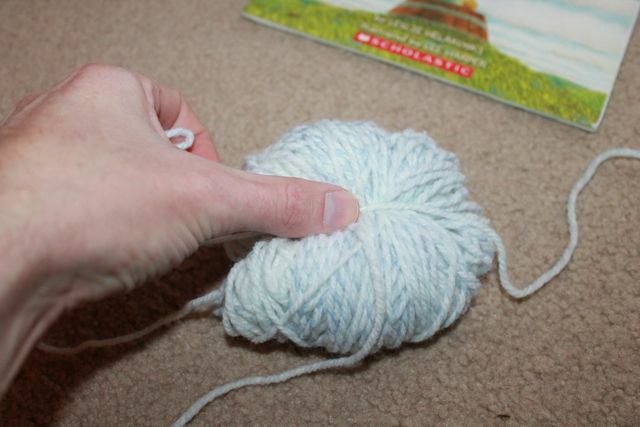 Next, I cut a smaller piece of yarn. Then, I placed the yarn in between the two rolls and tied it around the wrapped yarn. 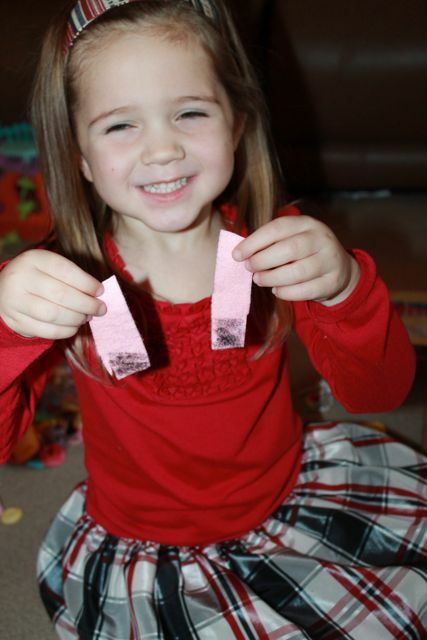 While I held the tie, my daughter pulled the tubes out. Then, I pulled tight and made a knot. My daughter cut the looped yarn on the top and the bottom. Make sure not to cut the tie. 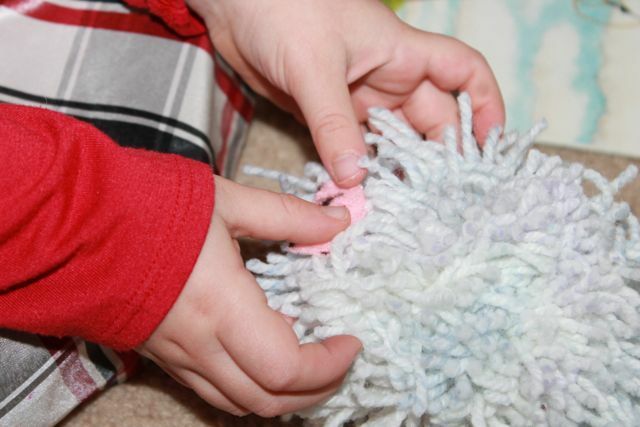 All the yarn pops out and becomes a Warm Fuzzy! 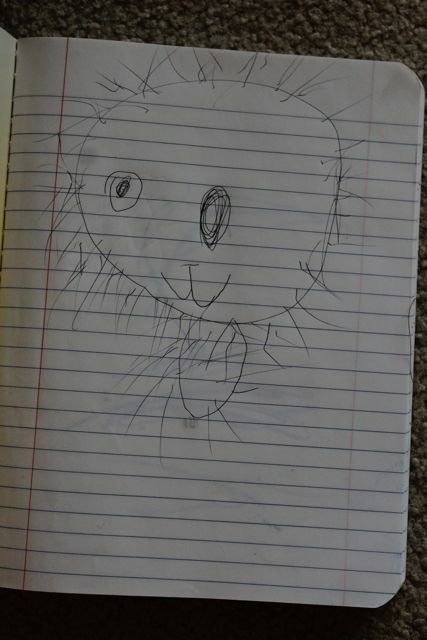 My daughter drew Woolbur to make a plan for how he would look. 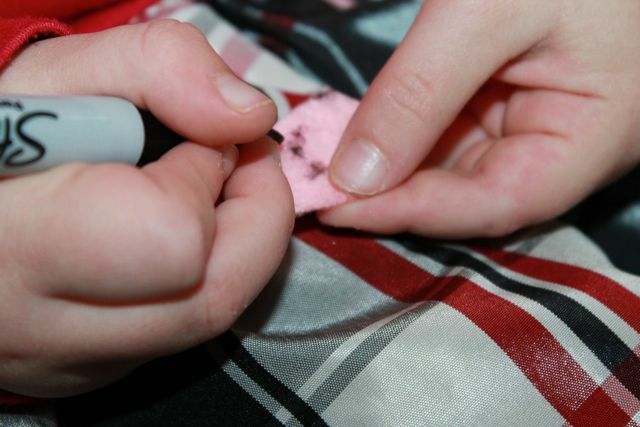 She drew his nose and mouth on a piece of pink felt. Then, glued it on. 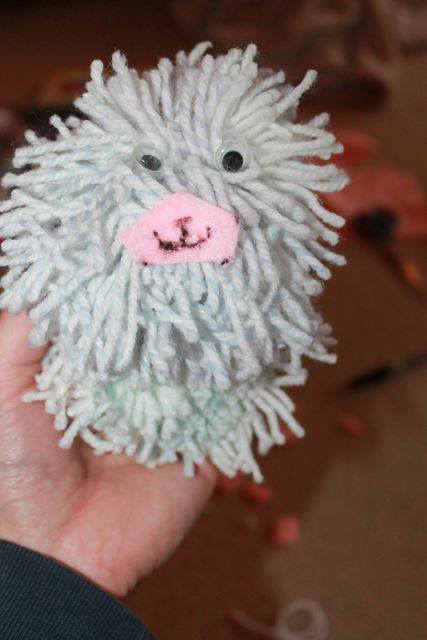 When the face was finished I suggested adding arms and legs with pipe cleaners. She said, "Wait! He needs a body." I didn't see her vision. 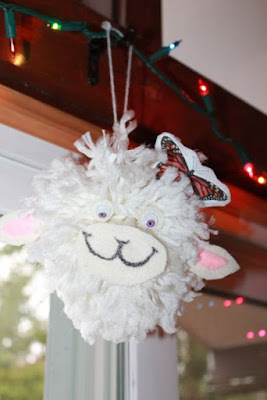 I thought the warm fuzzy was Woolbur's body. So she made legs and said, "These will go on his body. I just have a head. You can't put legs on a head." So, I made another warm fuzzy and stitched the two together. This was her finished Woolbur that was made of two warm fuzzies. The pink legs were glued on the bottom. Pipe cleaners were added for the "arms". Ears made of felt were glued on the side. 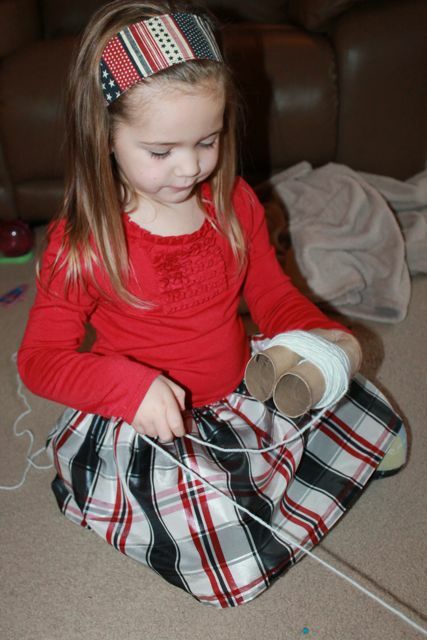 She said, "Don't glue the ears on the top or Woolbur will look like a fox." And lastly, a pink flower on Woolbur's head. 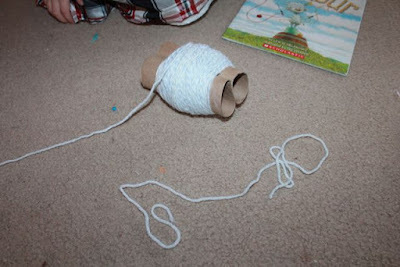 I had a bundle of thicker yarn. I wondered if it could be used to make a Warm Fuzzy too. 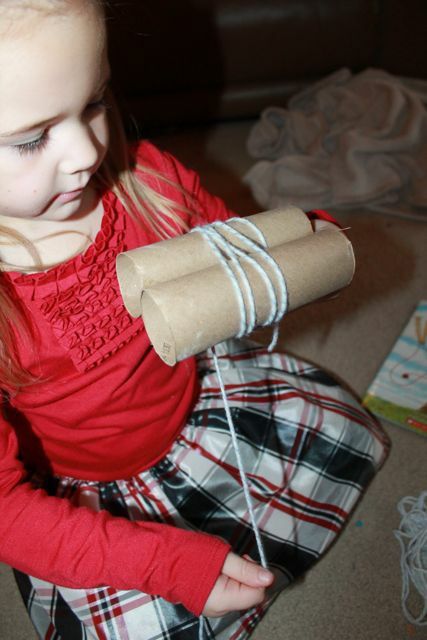 We were listening to Christmas music while we did this activity. 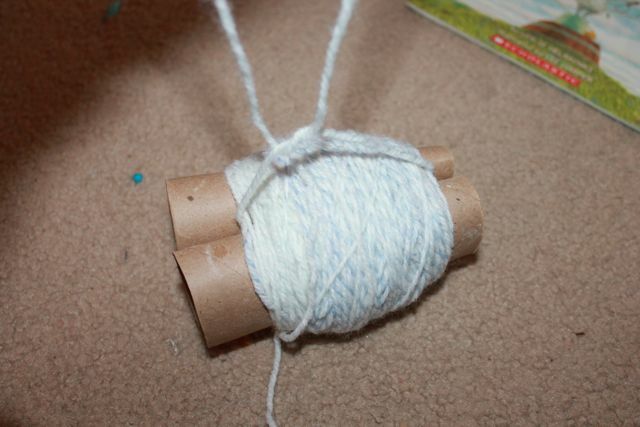 The thicker yarn worked and the music inspired me to make a Woolbur ornament for our Christmas tree. 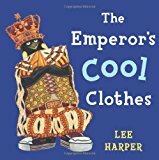 Lee Harper is the illustrator of eight children's books including Looking for the Easy Life, written by Walter Dean Myers and his own The Emperor's Cool Clothes. 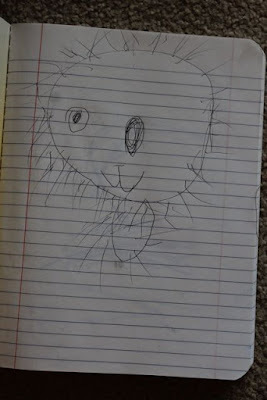 As a child Lee loved to draw and got his first taste of being an illustrator in the fifth grade when he illustrated a book report that his teacher passed around for the whole class to see. (Mazza Museum). He attended college at Pennsylvania Academy of Fine Arts and graduated with a desire to become a fine artist. (Kathy Temean). He soon realized it would be hard to make a living as a fine artist so he started a picture framing business and owned and operated it for about 15 years with hopes of getting back into art someday. However, the business failed and he was forced to find work elsewhere. Lee tried landscape architecture, ventriloquist dummy-making, real estate, and then fine art once again. "My career path took a few detours...but I never stopped writing, drawing, and dreaming. 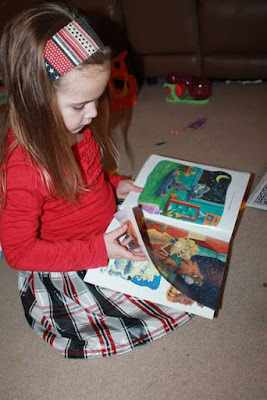 I think it was the experience of fatherhood -- and all the picture books I read to my children -- that made me start dreaming of being a picture book illustrator and author." (Mazza Museum). After seven years of rejections, Lee published his first book, Woolbur, in 2008. And it appears that a sequel is in the works. Woolbur Gets Ready for School is planned for 2018! 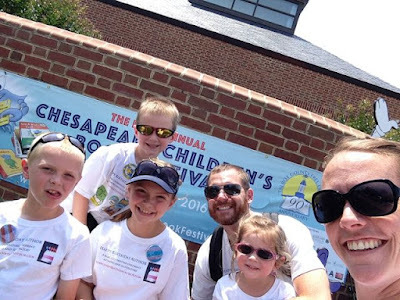 Lee, it was a pleasure meeting you at the Chesapeake Children's Book Festival last June. Thank you for sharing your birthday with us! We hope you have a Fa-Baaaa-lous birthday! 1. 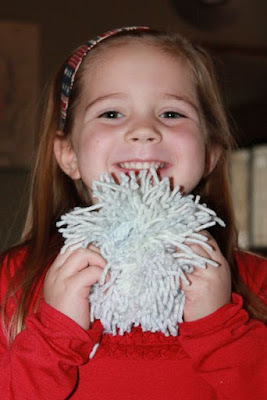 Lee Harper's Website + lots of activity ideas and printables!